So I am a huge fan of Milton Friedman. Most of you are probably saying, “Who the heck is Milton?” Well, he was a Nobel Prize winning economist and a huge believer in the free market and Capitalism. He believed that Capitalism was largely responsible for economic and political freedom. He also believed it was one of the biggest contributors to removing cultural, racial, and religious barriers between peoples. How you ask? Well, Milton would grab a pencil and he would begin a story… “Look at this lead pencil. There’s not a single person in the world who could make this pencil. Remarkable statement? Not at all. The wood from which it is made, for all I know, comes from a tree that was cut down in the state of Washington. To cut down that tree, it took a saw. To make the saw, it took steel. To make steel, it took iron ore. This black center—we call it lead but it’s really graphite, compressed graphite—I’m not sure where it comes from, but I think it comes from some mines in South America. This red top up here, this eraser, a bit of rubber, probably comes from Malaya, where the rubber tree isn’t even native! It was imported from South America by some businessmen with the help of the British government. This brass ferrule? I haven’t the slightest idea where it came from. Or the yellow paint! Or the paint that made the black lines. Or the glue that holds it together. Literally thousands of people co-operated to make this pencil. People who don’t speak the same language, who practice different religions, who might hate one another if they ever met! When you go down to the store and buy this pencil, you are in effect trading a few minutes of your time for a few seconds of the time of all those thousands of people. What brought them together and induced them to cooperate to make this pencil? There was no commissar sending … out orders from some central office. It was the magic of the price system: the impersonal operation of prices that brought them together and got them to cooperate, to make this pencil, so you could have it for a trifling sum. The Pencil. It did not need a government decree to be made. It was created by free people with the desire to make a better life for themselves and others. It did not need government involvement for people of different backgrounds to work together. They worked together out of mutual benefit. It did not need government regulation to establish a price. The price was established by the market based on what someone was willing to sell it for and what another was willing to pay for it. No force. No coercion. Just simple economics. So why does our government work so hard to make our lives more difficult? Because our Representatives just don’t know any better. 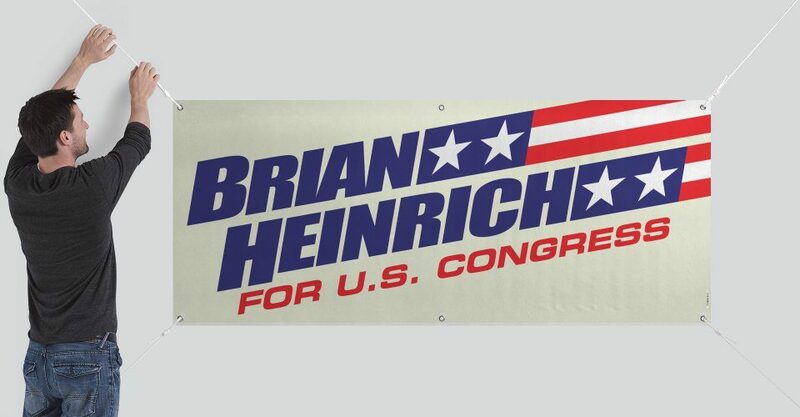 That is why we need to elect Brian Heinrich for the US Congress!